i-Account is an exclusive money platform where users can enjoy the ease of money transfers, make payments, currency diversification and many more functions. Access your account from any PC/tablet or right from your smart phone with no limitations in regards to time or location. 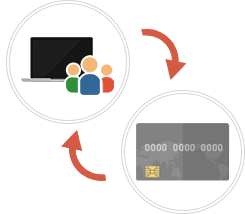 With a Visa or MasterCard branded CARD, the i-Account allows cardholders to make purchases, or withdraw local currency from any Visa or MasterCard member store or ATM around the world. It is a multicurrency with 26 currencies which is advantageous if you have transactions with multiple countries and with currency dispersion you can reduce currency risk and remittance and settlement will be smooth. 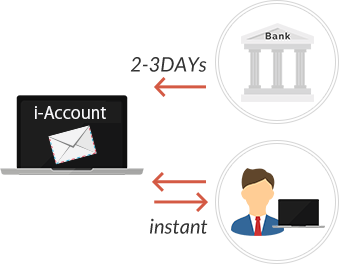 You can use iAccount instead of a bank as your remittance engine as you can send money to banks worldwide. 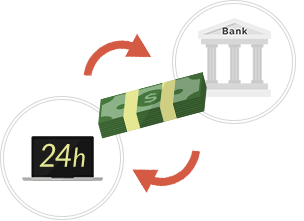 Foreign currency transfers can be done in 24 hours and with an excellent rate. Instant international transfers with i-Account are available not only to or from your own bank account but also to or from a third party account. International transfers are currently offered in multi currencies. i-Account provides account holders with customized, value added services like instant funds loading from a user's i-Account to the user's connected prepaid MasterCard, which is issued upon the user's request. 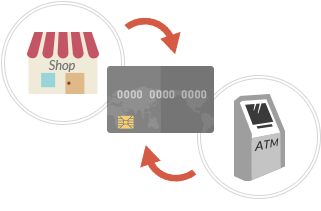 With the i-Card in hand, cardholders can withdraw local currency from ATMs globally, and use it for online and in-store shopping wherever MasterCard is accepted. i-Card can be issued to anyone, including those who do not qualify for a credit card. Click here for more details about i-Card. You can deposit funds to your i-Account using a bank wire or a credit card. Transfers between i-Accounts are instant. 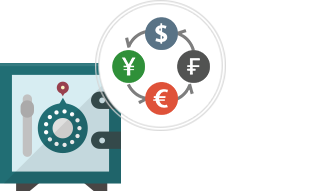 The i-Account allows instant transfers to a third-party account that can be linked to i-Account through API, such as Forex trading or an online merchant platform. This greatly reduces the time delay compared with international transfers, which take between 3 days to one week. It can also be used for online shopping anywhere on the Internet. 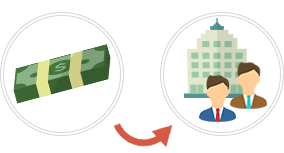 The corporate i-Account allows you to easily handle one-off transfers to multiple accounts or bulk transfers on a designated date, as well as reoccurring automatic payments. ※ All the above documents must NOT be more than 3 months old, or should have a validity period of at least 3 months. See examples here. On the approval of your application, an authentication URL will be sent to the Email address which you have registered with i-Account. Please remember to click the URL to complete your i-Account opening. ※ The authentication URL will become invalid if the link is not activated within 10 days, please contact us at https://support.liri-bd.com/hc/en-us to reissue. We update and improve the i-Account system at regular intervals to serve users the best experience possible with i-Account. Please keep your i-Account safe and never disclose your own information to others. Like any financial institution, PAYEDGE LIMITED may suffer from mail fraud, e.g. e-mail fraud, phishing attacks or identity theft. Please contact us immediately should you receive any suspicious e-mail.